A generally successful, fluffy romantic story from an author to keep your eyes on. One of the most immediately striking aspects of this book is the cover. As the title might suggest 'Fitymi'--but in all honesty Ms.Ullrich's offering was more of someone being true to herself or really coming to grips with her sexuality and soothe without coddling plus the storyline will also foster empathy and understanding without ever preaching and most of all help us the readers to see clearly about love in its many forms: romantic love, family love, friendship love and self-love....Enjoyable ending and i do encourage everyone to read this lovely story from an incredible author. The premise is unique and interesting. The magazine setting is engaging, the two leads are both likeable and genuine. The supporting characters are also well thought out. The story itself is well paced and well written...overall a very enjoyable read. I have to say that I've never been in the situation that Genevieve finds herself in exactly, but, one of my mottos in life is if I can't do, fake it 'til I make it. When I use the phrase it's not so much a lie until you figure it out, as it is present a confident in command outer shell until it (hopefully) becomes real comfort and confidence. So, I was intrigued by t he title and I wound up really liking the book. It's the story of Genevieve and Harper. Genevieve finds a job posting for a journalist job at a magazine called Out Shore, and she doesn't look closely enough at the details of the posting, and so doesn't realize that it's a LGBT centered magazine until she's sitting in the interview with the owner, Harper. She then compounds her mistake by lying to Harper and saying that she's a lesbian. Where could that go wrong? It's a fairly straightforward sorta lesbian romance after that, although there were a couple of places near the end where I was surprised by the turn that the story took. I liked the characters. They were all interesting. Especially Clarissa (not one of the twists that surprised me unfortunately). It was a fun book that I started because of the title and stayed for the solid writing and plot. Fun. I will definitely be reading more of this authors books. Ullrich's book Life in Death was amazing and nothing like this book. Life in Death was drama and deep emotion while Fake it Till You Make It is a feel good afternoon read but that doesn't make it any less interesting and the characters are just as well written. What I really liked about this story was that the author didn't spend chapters drawing out feelings of betrayal and angst which worked perfectly for the type of book Ullrich wrote. 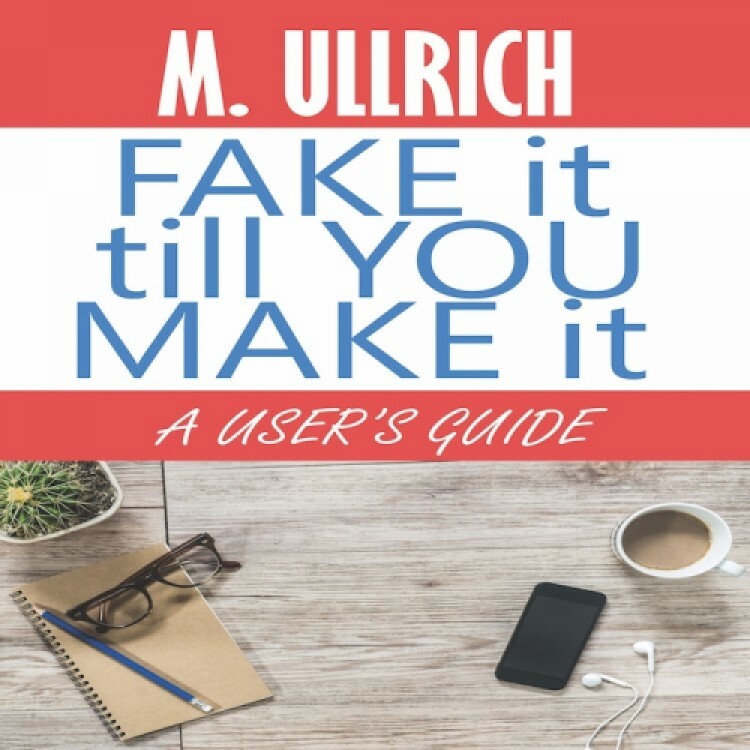 This is another good book by M. Ullrich. It is a pleasant romance with just enough drama to keep the reader’s attention. There are two main characters Genevieve Applegate, a writer for a newspaper, and Harper Davies, the owner of an LGBT publication, Out Shore. Genevieve is tired of her current job and is looking for a change. She finds a job posting for a writing position for Out Shore. Genevieve gets the job but tells a little lie to Harper. Harper is led to believe that Genevieve is gay. Instead, she is straight and has a long-time boyfriend. Chloe, Genevieve’s supportive best friend, Clarissa, the office bully, and Jeremy, Genevieve’s boyfriend, are a few of the sub-characters. They are also solidly written characters. The plot is enjoyable and even believable. Genevieve’s humor adds to the lightness of the storyline.